Our Gift Card Program is back and better than ever! We have moved to an online ordering system through Prestopay. You order online and Scrip delivers directly to school for you to pick up or have them sent home with your child. Click Here to Get Started with Scrip. Click HERE for Presto Pay Instructions. Every gift card purchase you make will help support our school! Support St. John School by purchasing gift cards to area grocery and retail stores that you shop at everyday!These gift cards come in various denominations and can be used as “cash”! St. John School receives a percentage of each card sold - from as little as 2% to as much as 10%! Have a big home improvement project you will be doing? Gearing up for your holiday shopping? Have some gift cards you'd like to purchase for your employees? Contact us today about special orders! 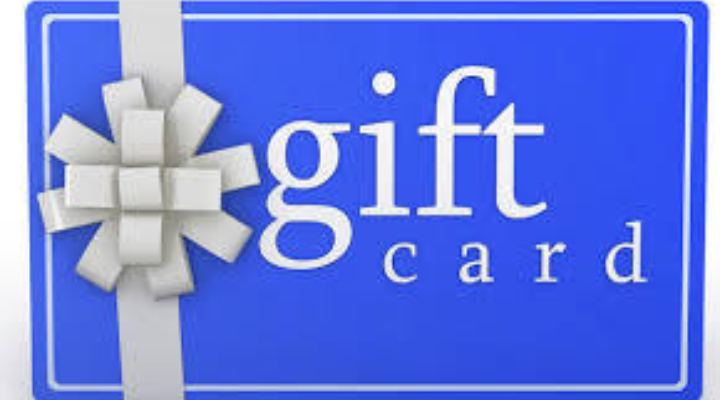 For information regarding our gift card program, please call the office at 410.848.7455. These cards do not expire and can be used in other states! Even St. John School Alumni, family, and friends can participate! Cards are available for purchase at the St. John School office, Monday through Friday, Tuesday and Thursday mornings at student drop-off and Friday afternoon when you pick up your student. You can also print the order form and send it in to school with your student anytime! Most orders will be filled the same day! Gift cards may also be purchased during the Knights of Columbus breakfasts that are on the first Sunday of each month in the Portico. You can also participate in escrip by registering your Safeway Card annually. This returns a percentage back to St. John School. Also, register your Target Visa Card for a 1% return profit to our school (ID#7784). Register online at eScrip.com. Remember, for more information/answers, please feel free to call the school office at 410-876-7228, ext # 230. Thank you to all Alumni, Faculty, School Parents & Grandparents, parishioners, volunteers and others who generously support our St. John School Gift Card Program! Your support helps keep St. John School strong! Please encourage others to utilize this vital yet simple way to support our school!